This halo pendant is perfect for an evening out. 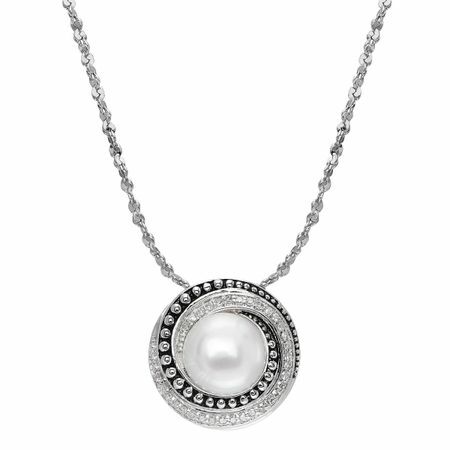 An 8.5-9 mm freshwater button pearl is set in the center of swirls of round-cut diamonds, totaling 1/8 ct, and alternating ribbons of black enamel and rhodium-plated sterling silver. Pendant measures MEASUREMENTS. Comes with a sterling silver 18-inch Singapore chain with a lobster clasp.